There are definitely worse things than being forced to extend your holiday for an extra few days, however in reality this type of situation can cause lots of problems, for example arranging alternative travel home, arranging for house/dog/baby sitters to stick around, and not to mention the call to work! However, many British skiers have been left in this exact situation and extremely unhappy after being trapped for several days by heavy snow fall in the Alps. Up to 1,000 Brits were trapped by the snow after officials closed all transport links because of the fear of potentially fatal avalanches. Officials were forced to make the decision after more than 18 feet of snow fell in a very short space of time. However in the typical British spirit, many travellers made the best of the ‘bad’ situation by spending their days skiing and enjoying the beautiful environment, after they were forced to explain to their employers that they had no choice but to remain on ‘holiday’. This extraordinary occurrence just goes to show that anything can happen when on holiday. The more usual issues winter sports travellers face are lost, delayed or damaged equipment, and medical emergencies such as ‘skier’s thumb’ and torn muscles. 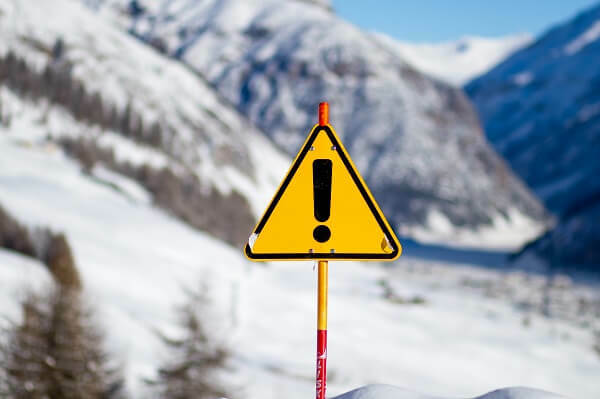 However, it just goes to show that you cannot prepare for every holiday disaster, unless you have purchase specialist winter sports travel insurance to protect you against the unforeseen. Multiple levels of cover allowing you to choose the best policy for your needs, including Single and Multi Trip options. Cover for your own ski equipment and hired ski equipment against loss, theft, damage and delay. Discounts for Couple and FREE cover for your kids on their family travel insurance policy. Additional sport and activities cover available, as well as skiing, snowboarding and ice skating covered as standard. Many activities like glacier skiing and snow mobile riding are included within the policies. Extreme ski activities, like heli-skiing and ski racing can be covered at an additional premium. A Doctor led emergency medical helpline is available 24 hours a day, every day of the year. Cover includes piste rescue, piste closure, personal liability, ski passes, owned ski or snowboard equipment, cancellation, medical emergencies, personal belongings, cash, travel documents and much more. Plus a 14 day cooling off period. If you’re planning a winter sport holiday, just remember to visit Holidaysafe today for policies to suit any trip and budget.